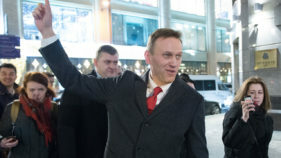 Russian opposition leader Alexei Navalny said Tuesday he was prevented from flying out of a Moscow airport to travel to France and attend the European Court of Human Rights. 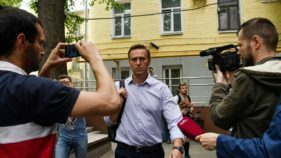 Russian opposition leader Alexei Navalny was detained Monday on his release from prison after serving a 30-day sentence for an unauthorised protest. 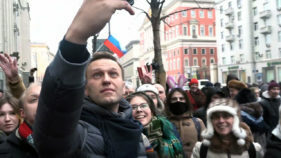 A Moscow court on Monday gave a 30-day jail sentence to Russian opposition leader Alexei Navalny over an unsanctioned protest earlier this year, just days before another planned political rally. 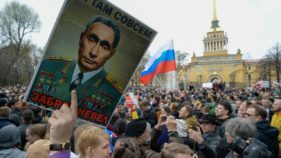 Russian opposition politician Alexei Navalny called Tuesday for nationwide protests to take place across the country during the World Cup over a government plan to raise the retirement age for the first time in its modern history. Russian authorities have detained several members of jailed opposition politician Alexei Navalny's team for organising protests ahead of President Vladimir Putin's fourth inauguration. Russian opposition leader Alexei Navalny was on Tuesday sentenced to 30 days behind bars for organising protests ahead of President Vladimir Putin's fourth inauguration. 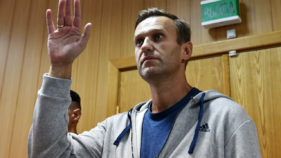 Russian opposition leader Alexei Navalny, who was detained during a weekend protest on the eve of Vladimir Putin's inauguration for a fourth term, has been released and faces a court hearing next week, his lawyer said Sunday. 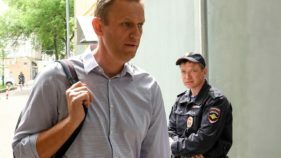 Russian opposition leader Alexei Navalny said Thursday he had been detained by police in Moscow, less than a month ahead of presidential polls he has been barred from contesting. 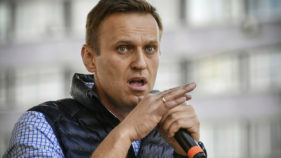 The Kremlin said Monday it did not regard opposition politician Alexei Navalny as a threat and called President Vladimir Putin the "leader of the political Olympus." 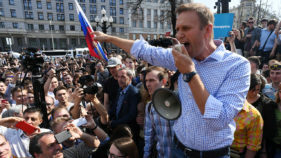 Moscow police broke Sunday into the headquarters of opposition leader Alexei Navalny and detained his aides as Russians rallied across the country to protest upcoming "pseudo-elections." 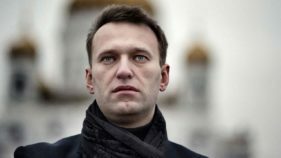 Russia's top court on Saturday rejected an appeal by opposition leader Alexei Navalny against a decision to bar him from running in the country's 2018 presidential election.